1201 is a 15-story, 285,000 square foot Class A office tower located at the gateway to the Gulch and downtown Nashville. The building features a two-story lobby, floor-to-ceiling glass, an energy-efficient design, and a virtually column-free floor plan. Typical floors are approximately 26,000 rentable SF. Amenities for the building includes a bank branch, restaurants, and a full-service fitness facility. The exterior materials will be granite, glass and highly polished aluminum accents. There will be ample parking, with a ratio of 3.3 spaces per 1,000 SF anticipated. 1201 is accessible, visible and at the heart of Nashville's most dynamic urban neighborhood. 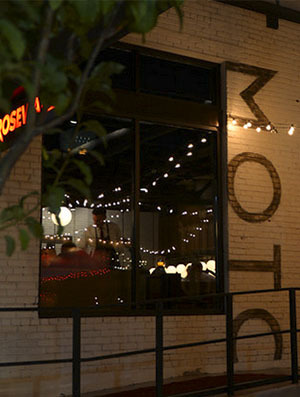 Moto features inspired rustic-modern Italian cuisine. Moto features over 30 ever-changing wines by the glass and 250 labels in total. 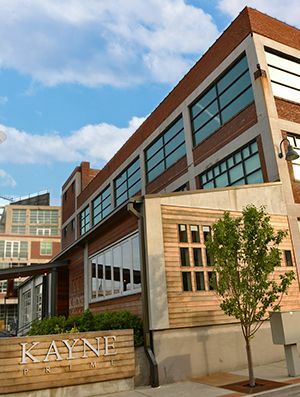 THE BEST OF BOTH WORLDS - Kayne Prime is the artful fusion of a chef-chic boutique restaurant, with the great American steakhouse. Progressive in every sense “ cuisine, wine & mixology, stylish design “ Kayne Prime is the modern evolution of the classic upscale steakhouse. Mexican restaurant, featuring inspired Mexican cuisine, Latin mixology, and a premium tequila and mezcal menu of over 120 labels. 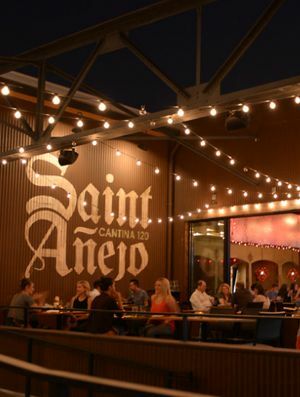 The menu showcases creative tacos, house made guacamole, and regionally-influenced Chef specialties. TAVERN-CHIC - Whiskey Kitchen is the cool, intimate hot spot that offers a bit of everything. 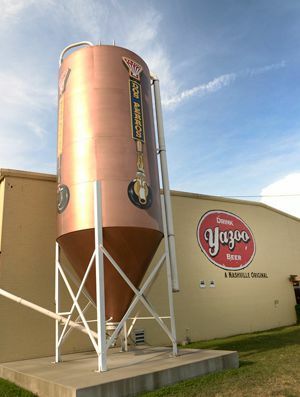 The menu is a mix of chef-inspired pub favorites, southern classics, and wood-fired pizzas. 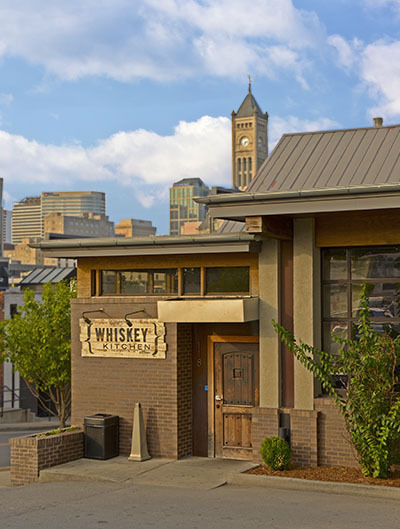 An extensive list of cool cocktails accompany the city's largest collection of world-class whiskeys, bourbons, ryes, and scotches. 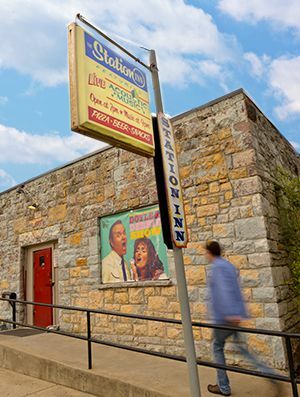 The Station Inn is a concert venue in Nashville, Tennessee that hosts bluegrass acts. The Station Inn offers American pub grub such as Pizza, Hot Dogs, Nachos, Barbecue, Beer, Coolers, Red Bull Energy Drinks, Coffee, Tea and Soft Drinks in a very casual and relaxed atmosphere. Open 7 nights a week. Doors open at 7 p.m. Shows start at 9 p.m. unless otherwise noted. The Pub concept includes a novel feature: the Pour Your Own Beer Wall. It's an "interactive experience" where customers pay by the ounce in advance, then pull their own pint from the taps. 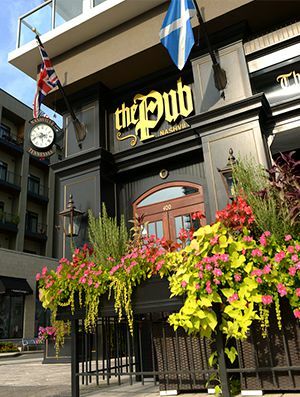 The menu is a combination of classic British pub food and other fare inspired by the cuisine of the British Commonwealth, along with American classics. We're talking fish-and-chips, bangers-and-mash and shepherd's pie, along with a roster of appetizers, sandwiches and salads. 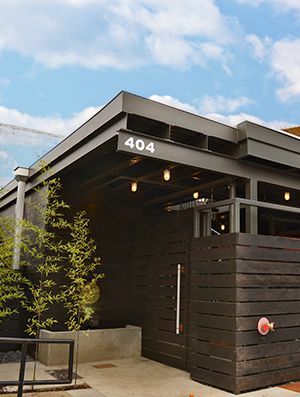 The 404 Hotel is an urban oasis, a hideaway in plain sight and the 404 Kitchen offers a modern take on classic European cuisine, with an emphasis on local, seasonal fare, including herbs grown on the rooftop garden. 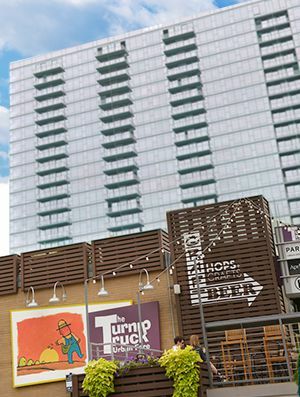 The Turnip Truck is Nashville's only full-service, locally-owned & operated natural foods retailer. It has fresh produce (mostly organic), meat department, fresh seafood, health and beauty, and additional groceries. Plus, a full salad bar, hot bar, five fresh daily soups, fresh juice and coffee bar. 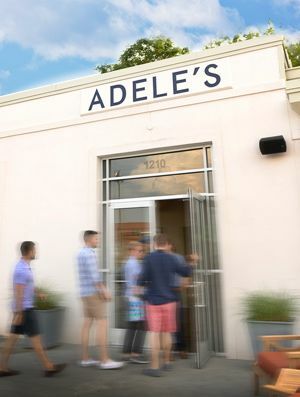 Housed in the old Universal Tire Center, Adele's features a large wood burning oven and old fashioned charcoal grill. Flavorful American cuisine is prepared under the guidance of chef/owner Jonathan Waxman. Chef Waxman's menu at Adele's is classic and simple, featuring the freshest of local and seasonal ingredients. 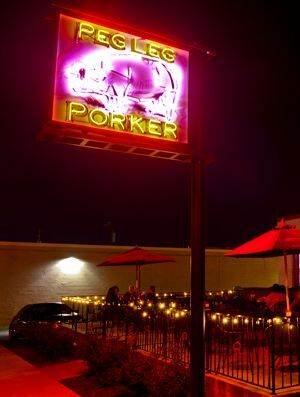 Peg Leg Porker is one of Nashville's best BBQ restaurants specializing in dry ribs and pulled pork and catering in Nashville. 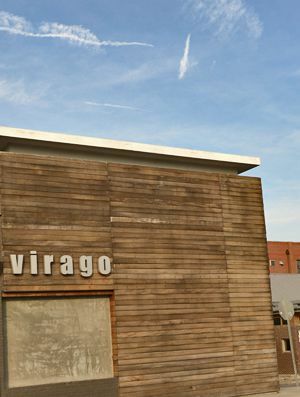 CUISINE AS ART - As an original pioneer of the blossoming Nashville restaurant & food scene, Virago is the gold standard for Asian fusion and Sushi. We've built our business by developing quality buildings in the Nashville area and providing exceptional service to our tenants. Eakin Partners combines the experience of seasoned real estate professionals and knowledgeable developers. Our team has developed 1201 Demonbreun, Roundabout Plaza, Burton Hills Phase I & II, SunTrust Plaza, Tractor Supply Company corporate headquarters and AmSurg corporate headquarters to name a few. ©2010 - 2019 Eakin Partners, LLC. All rights reserved.